Oh my god this box. I don't know wether to hate it or love it. It is so good and irresistible, it's totally ruining my diet. I guess I'll just have to stick to the dark chocolate variants for now and wait until summer is over before I get myself a milk chocolate box. 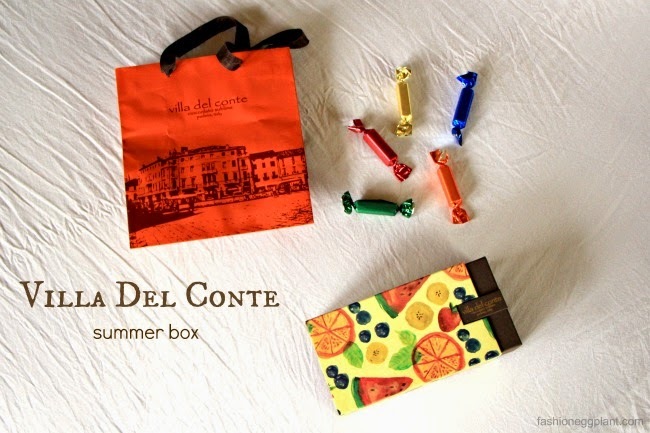 The Villa Del Conte Summer Box is a collection of pralines in either dark or milk chocolate with creamy fillings in banana, watermelon, strawberry, blueberry and my favorites: orange and mint. They taste like the chocolates I so eagerly awaited as a kid each time my grandpa would travel to Switzerland...(although these are from Italy). Both use the finest chocolate I have ever tried. The creamy kind that takes only moments to melt and is not overtly sweet. Just the right amount of chocolate-y sweetness that speaks pure luxury once you sink your teeth into it. MMMMM, dreamy. 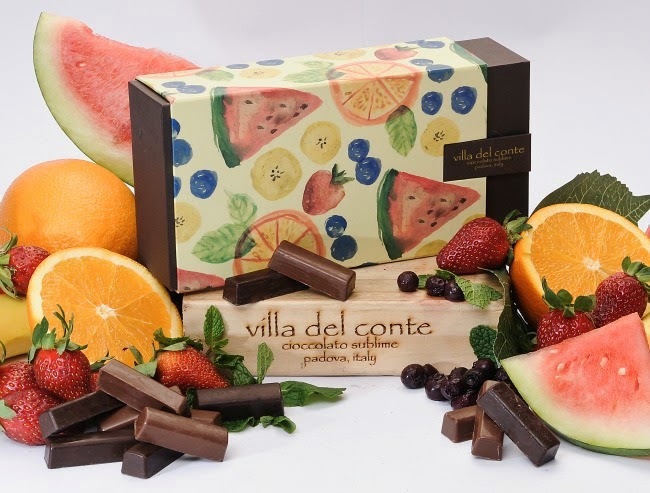 Villa Del Conte is available in the Philippines at Shangri-La Plaza Mall, Greenbelt 5, Alabang Town Center, Robinson’s Magnolia, or Resorts World Manila. For orders, please contact 893-2575 or 621-6101. 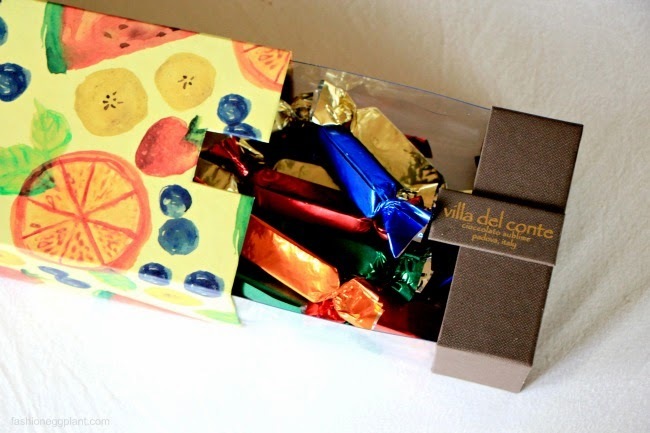 Visit www.villadelcontecioccolato.com/ to know more about Villa del Conte, or follow them on Facebook, Instagram and Twitter.